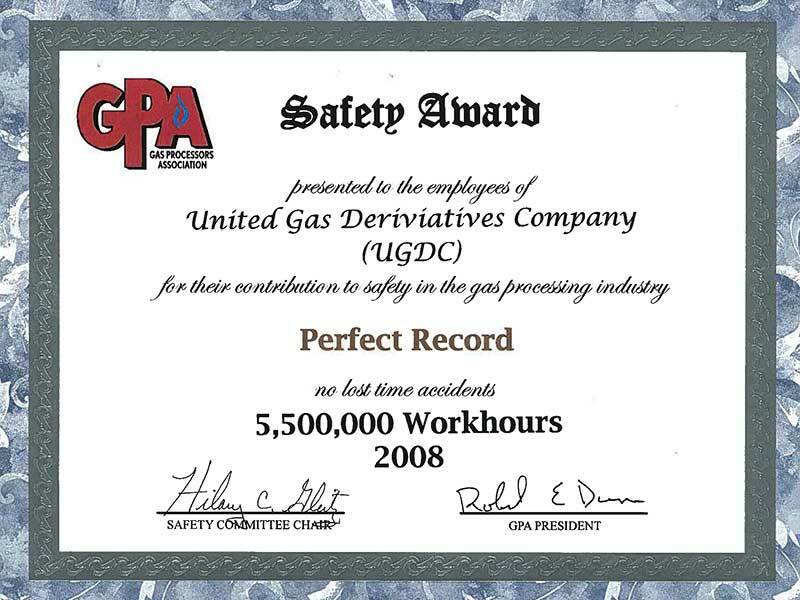 Everyone who works for or on behalf of UGDC is responsible for health, safety security and the environment (HSE). 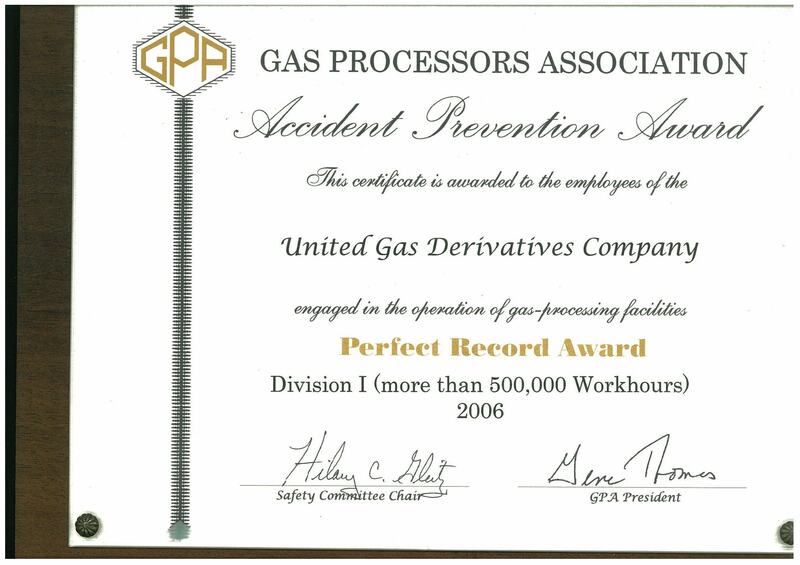 Effective HSE performance and the health, safety and security of everyone who works for us are crucial to the success of our business. 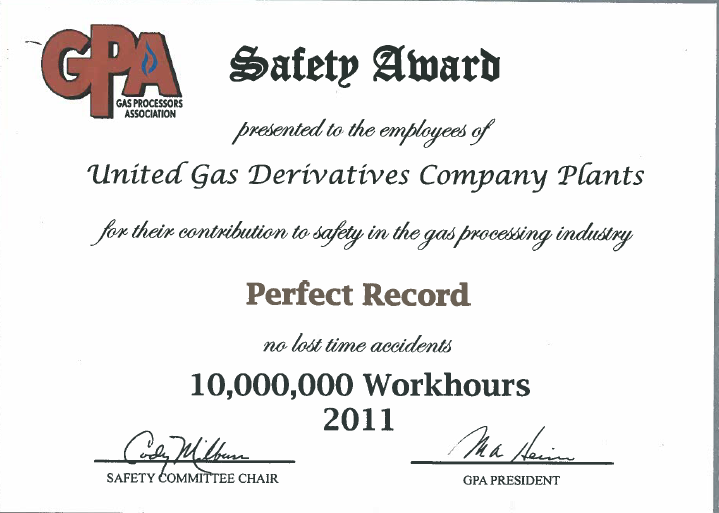 Our goals are simply stated – no accidents, no harm to people and no damage to the environment. In addition, prevention of pollution, management of natural recourses for sustainability, and continual improvement are vital components and key to our success. •Identifies hazards and assesses risk. •Establishes control measures to eliminate or mitigate hazards. •Links the work to other associated work permits or simultaneous operations. •Is authorized by the responsible persons(s). •Communicates above information to all involved in the work. 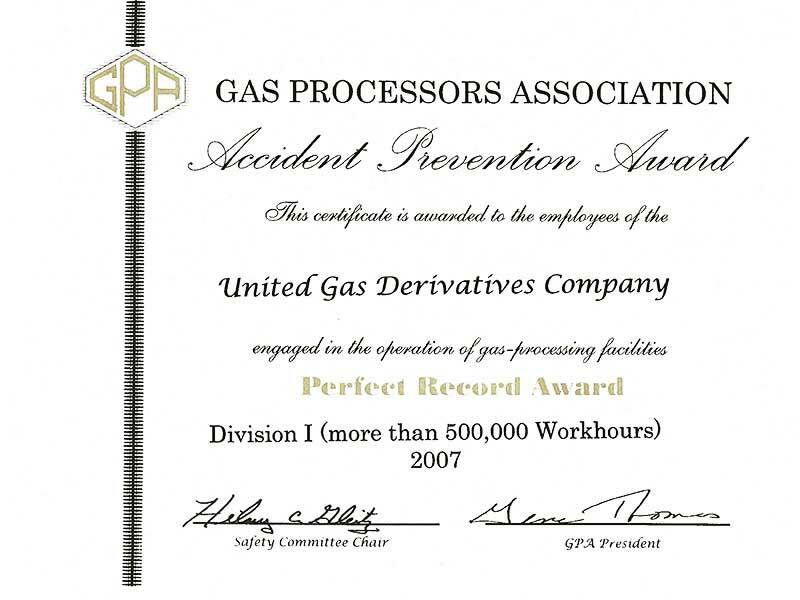 •Ensures adequate control over the return to normal operations. 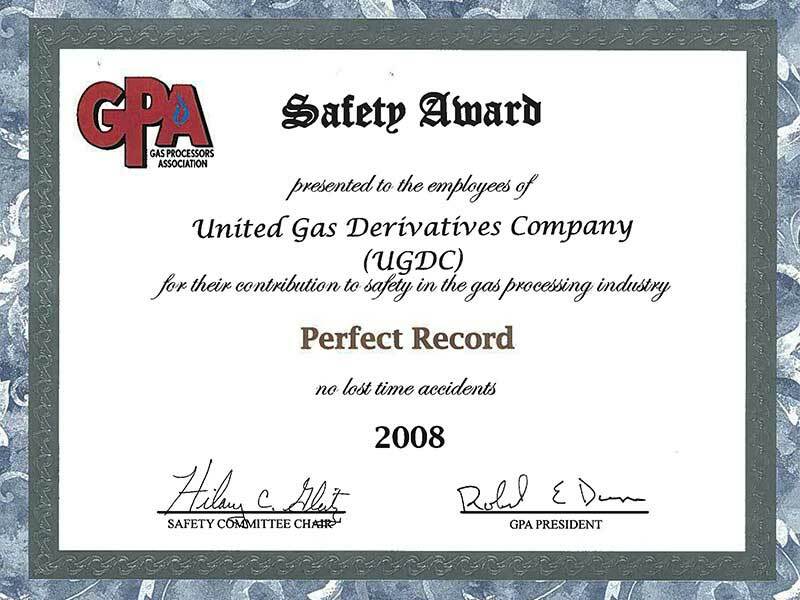 •A hazard assessment of the work site is completed by the competent person(s). •All underground hazards, i.e. pipelines, electric cables, etc; Have been identified, located and if necessary, isolated. •A confined space entry permit must be issued if the entry meets the confined space definition. •Ground movement must be controlled and collapse prevented by systematically shoring, sloping, benching, etc; as appropriate. •A proper anchor, mounted preferably overhead. •Full body harness using double latch self locking snap hooks at each connection. 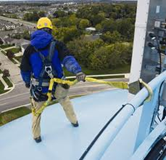 •Fall arrest equipment will limit free fall to 2 meters (6 feet) or less. •A visual inspection of the fall arrest equipment and system is completed and any equipment that is damaged or has been activated is taken out of service. •Person(s) are competent to perform the work. •Vehicle is inspected and confirmed to be in safe working order. •Drivers are trained and certified to operate the class of vehicle. •Passenger number does not exceed manufacturer’s design specification for the vehicle. •Seat belts are installed and worn by all occupants. •Hand-held cell phones and radios are not in use by driver. Within the oil and gas exploration and production industry, the pattern of use of contractors has changed significantly. Previously the work force was predominately company employees; however there has been a significant increase in the use of contractor staff, with a resulting shift in responsibility and risk from the company to the contractor population. 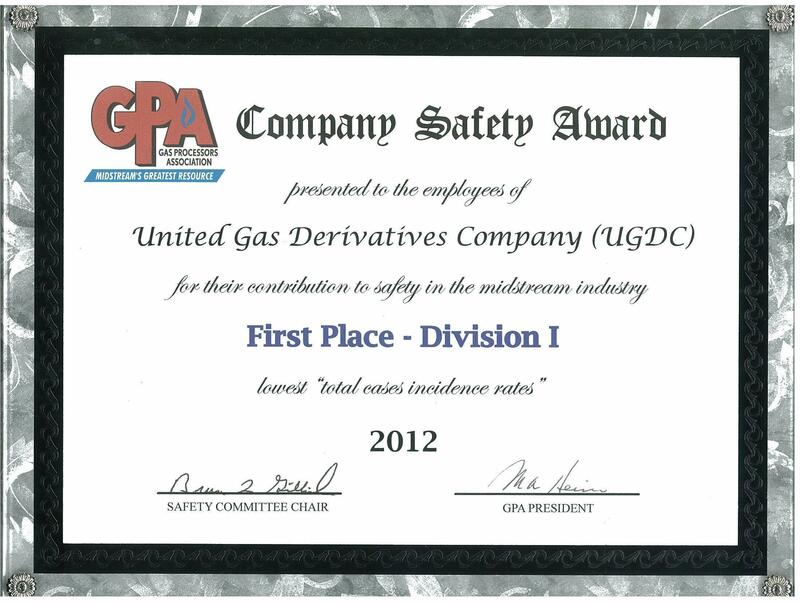 •Ensure that the contractor health, safety and environmental (HSE) performance match with UGDC's rules & regulations. 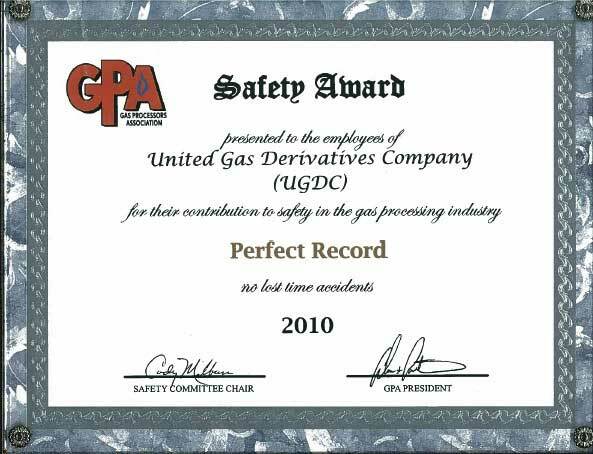 •The contract requirement should comply with UGDC HSE policy statement to ensure the protection of life, assets and environment. Offer a significant benefit in terms of their specialist skills and equipment in meeting short term requirement. 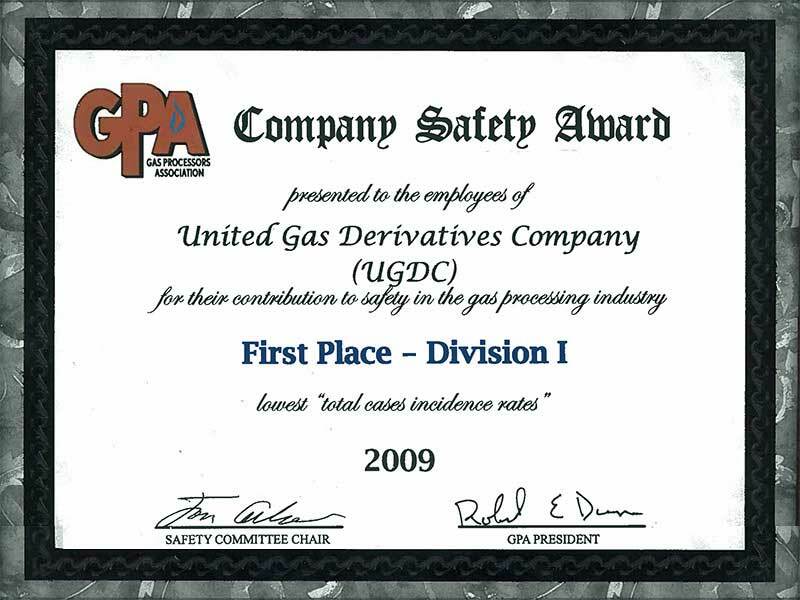 •Their lack of awareness of existing site hazards and safe systems. •Poor specification and/or maintenance of equipment. •It requires coordination, communication & cooperation between all. 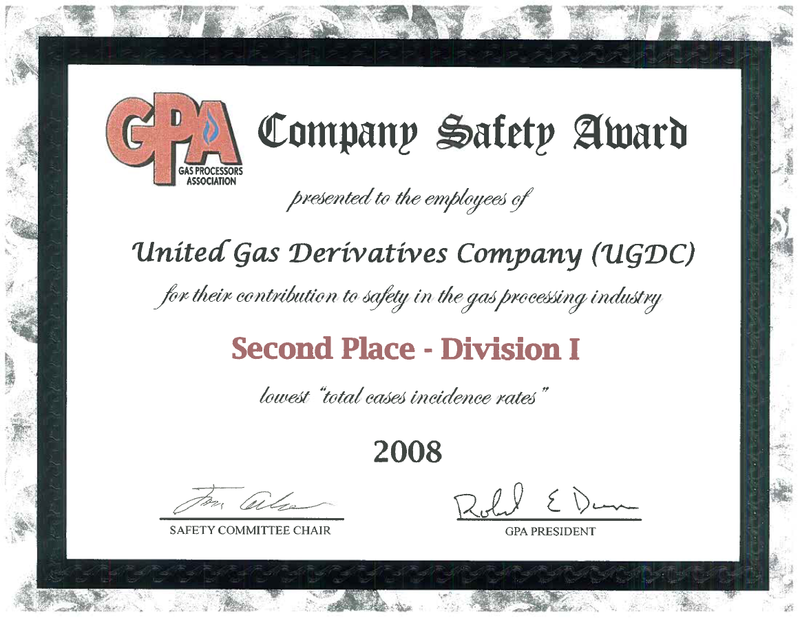 •Full compliance with HSE standards and requirements. •Clearly defining the roles and responsibilities. •Control the HSE risks raised during activities. •UGDC will benefit from the contractor registration is to identify the contractor activities, and whether he had a system of work. 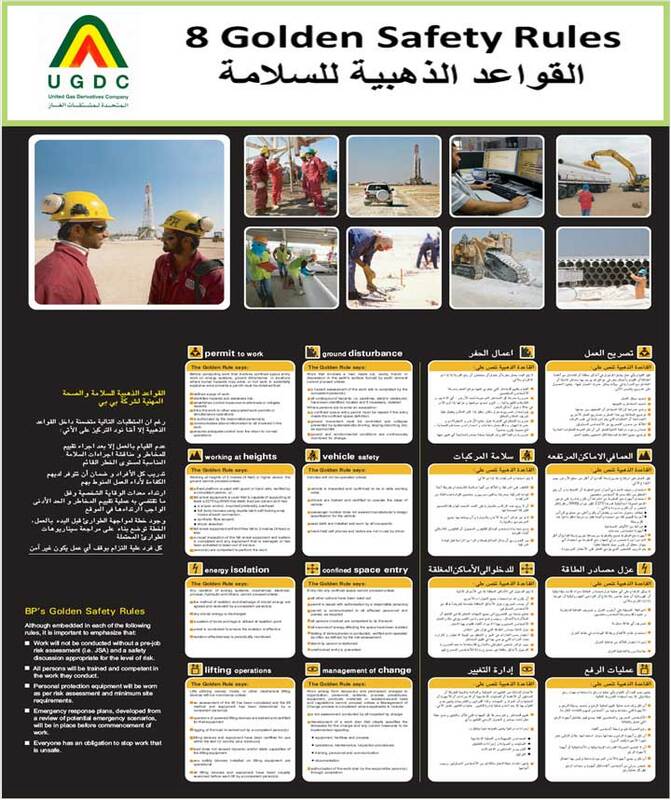 •Facilitate the relationship between UGDC and their contractor. •Get background information about contractors, this initial background will help in getting better selection of contractors. •The contractor registration form will be applied for contractor who will provide services and execute his work in UGDCO premises (Cairo office, P/Said, Damietta), and/or contractors who will supply materials and execute tasks/install it in UGDC premises (Cairo office, P/Said, Damietta). 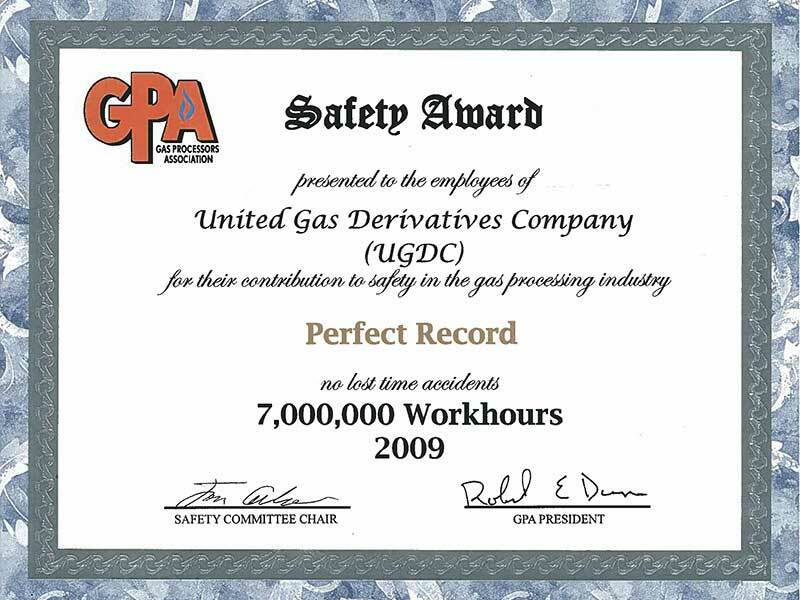 •UGDC will benefit from contractor evaluation at the end of each contract/project. 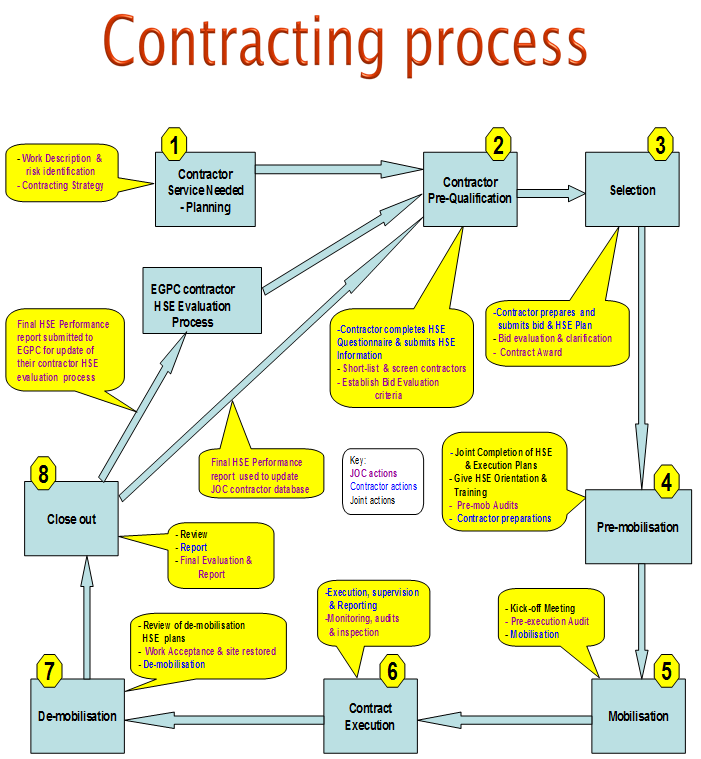 The main eight-phase contracting process where it is begins with planning and ends in final evaluation and close out. Whilst eight phases are identified they are not rigidly separate nor are always strictly required. The individual phase activities may overlap or coincide depending on the complexity or extent of the scope of work. Reporting tools are developed to ensure full reporting of unsafe or unhealthy conditions and full reporting and recording of unplanned or unexpected events that results in, or have the potential to result in, serious consequences for people, the environment, or property. A SC is performed by a trained employee to coach the performers at any job. This is to insure that they are abiding by QHSE rules and regulations, aware of the risks inherent to their activities and taking all necessary precautions. Also SC is an opportunity for friendly discussion any regarding deviation and reach a clear mutual agreement on how the performer will correct the deviation and avoids future repetition. A Safety Observation is considered any act or condition that can produce harm and is reported by any one that observed or found it. Observation cards are distributed all over company premises in observations boxes to facilitate the recording for everybody. The reported safety observations are discussed with the concerned Mangers to take the necessary corrective action track if needed. 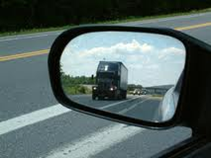 Among the Safety Observations, a Near Miss represents any event that, under slightly different circumstances, could have resulted in accident (harm to people, damage to equipment or property, loss of production, or harm to the environment, spill or release of hydrocarbons or chemicals into the environment). When reporting Safety Observations, staff will be prompted to specify if the event’s a Near Miss or not. In this latter case a Near Miss Report shall be issued. A Manager Walkthrough is a tour within the plant premises of managers, seniors, shareholders representatives in Port Said and Damietta facilities. The track record for number of walkthroughs and output observations and recommendations are kept by QHSE department to follow up with concerned departments for actions and tracking. This KPI is based on the number of Walkthroughs at Company site facilities (Port Said and Damietta and Cairo office) made by Cairo Managers and Shareholders Representatives. A worksite assessment checklist is attached to any PTW (Permit to Work) to be filled by mangers, seniors, shareholder representative and UGDC staff in case of observing any non-conformance or required action for improvement to the performed task. The findings are discussed in the site morning team work meeting to determine the required actions. Performance and safety can both be improved by incorporating the knowledge and experience of other into projects, programs, and operations. To communicate acquired knowledge most effectively, lessons learned should to be prepared and distributed whenever there is an opportunity to share a valuable new work practice or warn others of an adverse practice, experience or product. This will ensure that all beneficial information is factored into all planning, work processes, and activities. On October 17th & 18th 2012 QHSE Launching Injury Free Program. 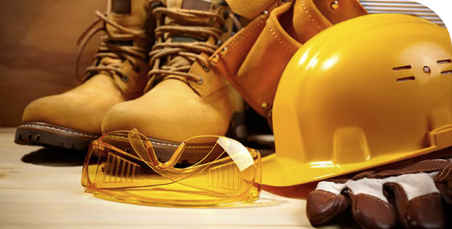 Injury free environment is a commitment, between (staff & contractors) as individuals and also as a group, to create an environment absent of injury. 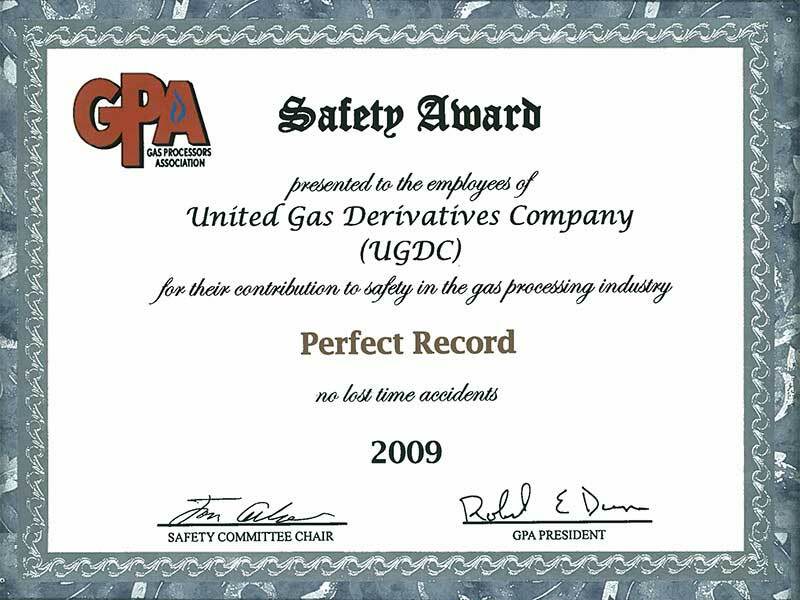 Our Safety Commitment and standards meets world class safety performance and recognized not only among local industry but also internationally. 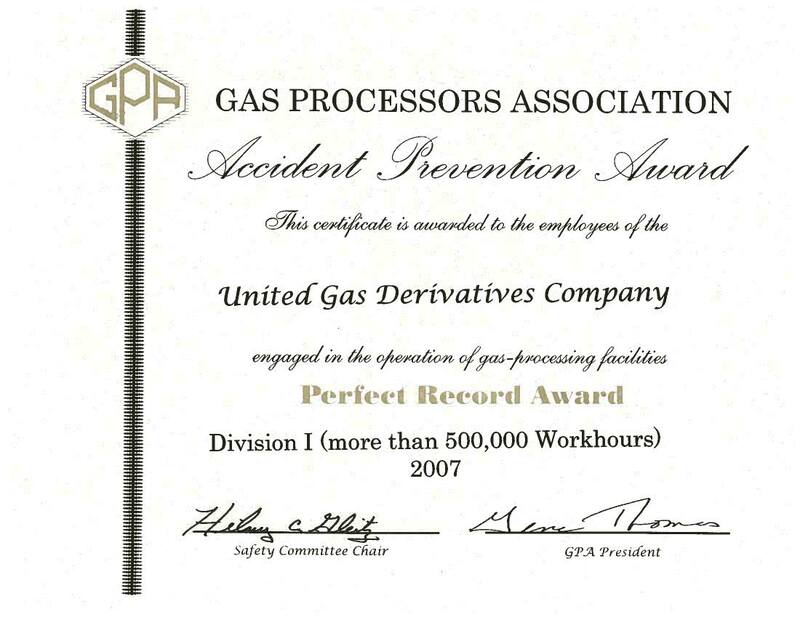 Gas Processors Association (GPA) is incorporated nonprofit association made up of 115 members worldwide all of whom are engaged in the processing of natural gas.GPA recognize member companies with industry and safety award for their outstanding midstream. 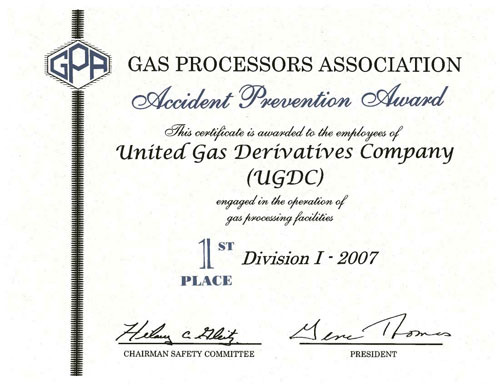 UGDC is actively participation in GPA "Gas Processors Association” award program for non- USA companies, for safety since 2006.Since then UGDC is awarded GPA Perfect Record award till the year 2012 in addition to Second Place: Division I Safety Award in 2008 and 2010 , UGDC is also awarded First Place: Division I GPA for the years 2007 , 2009 and 2012. 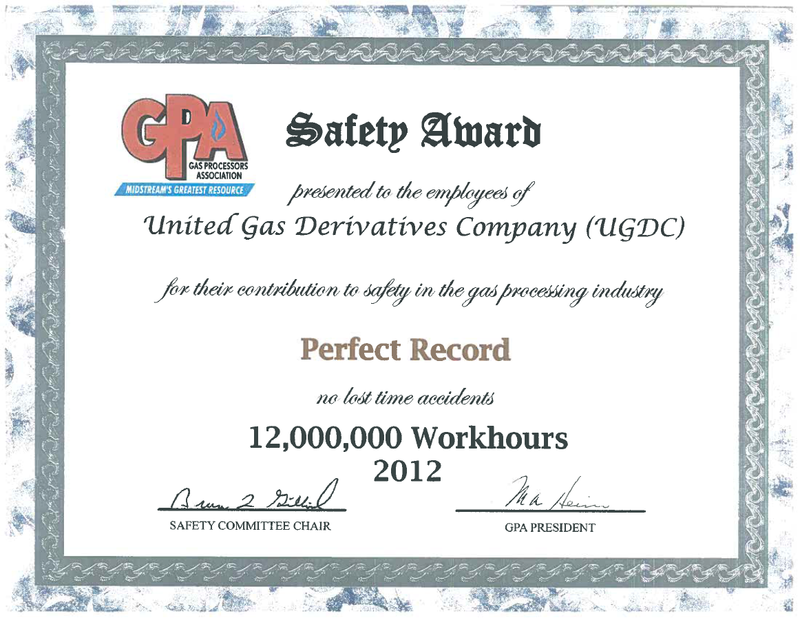 UGDC also succeeded in achieving twelve and half million operating safe man-hours without a lost time incident till first week of April 2013.